Look Better And Feel Better With Wellness and Flu Supplements From Diverse Health! Here at Diverse Health Solutions, we are always educating ourselves so that we can continue to offer you the best health care services in the Metro Detroit area. We differ from conventional medicine in the way that we are proactive when it comes to improving your health and reducing the risk of pain and illness. Traditional medicine only focuses on attempting to treat disease once it actually occurs. Dr. R.E. Tent, D.C., N.D., Ph.D and Dr. Jeff Senechal, D.C., CFMP are extremely knowledgeable in vitamins and minerals, and are always researching new health and nutritional studies. With the assistance of technology, we have become a practice that reaches across the world, helping patients in Australia, England, Sri Lanka, China, and beyond! Our appointments are performed via SKYPE and we've found this is the best way to reach and communicate with our patients who aren't able to make it to our Novi office. We believe in educating our patients, and both of our doctors hold free public lectures throughout the year to do so. Below you will find a list of our products that are available to our patients. Our patients come to us with various issues and ailments and we are proud to offer a wide assortment of supplements that meet our patients best needs. We'll meet with you over a custom and personal SKYPE appointment where we will talk with you about your needs and educate you on the best supplements for you. A healthy body composition is an important part of your overall health. Natural weight loss supplements can help people shed pounds and support a healthy body weight by boosting energy and reducing hunger. These supplements are comprised of real herbs and plants that provide real results - without the use of synthetic chemicals that are hard for your body to process and bad for your health. A strong immune system is integral to our overall health and well-being. Our immune system works hard to keep us healthy and serve as a natural defense system, but we can face many challenges that impact our body's natural ability to stay well. The powerful, all natural supplements DHS provides help balance and strengthen the immune system and can be integrated into your existing vitamin regimen. Do you experience gas? Bloating? Constipation? Diarrhea? Fortunately, you can support your digestive health by adding probiotic supplements to your diet. Not only can these natural supplements improve digestive function and help manage inflammatory bowel conditions and food-borne illnesses, but they also help boost the immune system and can improve urinary and vaginal health. 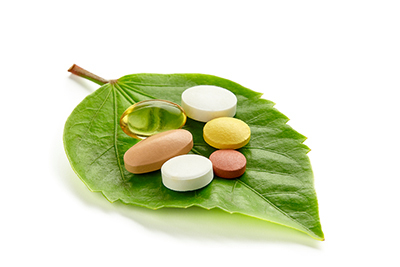 Vitamins and natural supplements can help treat hair loss, acne, wrinkles, and other skin conditions, which can improve the overall health and appearance of your skin. While you can't avoid the aging process, you can enhance the appearing of your skin by adding supplements to your beauty routine. These supplements can diminish fine lines and wrinkles, even out skin tone, minimize scars, and firm and tone skin. If you're interested in finding out which wellness and flu supplements would be right for you, contact us today to learn more about which supplement would be right for you!